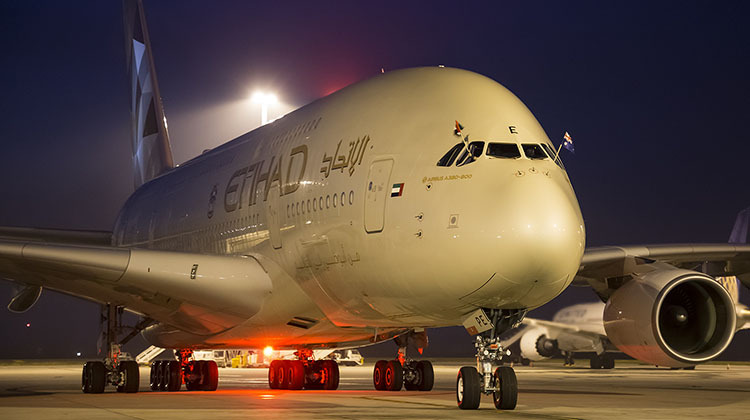 Etihad Airways has deployed the Airbus A380 on the Melbourne route, with the Gulf airline’s first service operated by the 496-seat flagship touching down in Australia’s second largest city on Thursday evening. 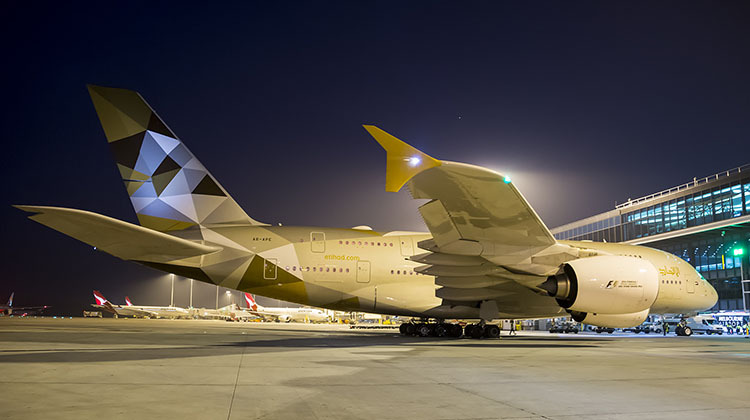 Abu Dhabi-based Etihad will now operate the A380 on one of its twice daily flights to Melbourne, replacing a 777-300ER on its EY460-EY461 rotation. The inaugural A380-operated EY460 touched down in Melbourne at 5:42pm on Thursday, with the reciprocal EY461 to Abu Dhabi due to depart at 10:15. With Melbourne coming online as an A380 port, Australia becomes the only country in the Etihad network with daily A380 services to two cities – Melbourne and Sydney. “Our Abu Dhabi to Melbourne services generate very high seat load factors year-round,” Etihad Airways senior vice president of marketing, Shane O’Hare, said in a statement. Isn’t it 2 daily flights not 3?